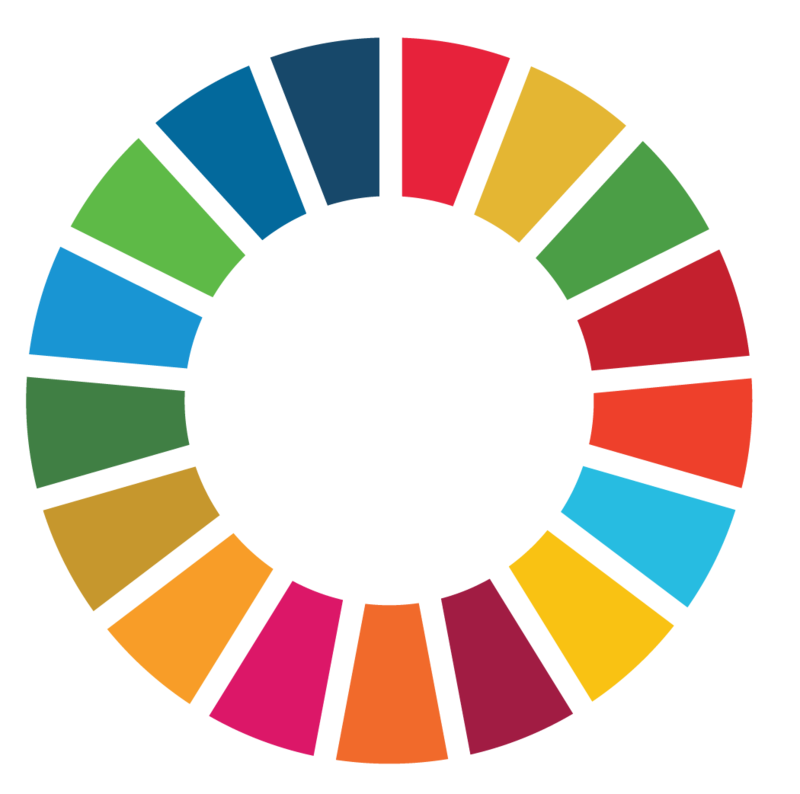 The Sustainable Development Goals (SDGs) set out a framework of 17 Goals and 169 targets to tackle the world’s most pressing social, economic, and enviromental challenges in the lead-up to 2030. While ultimately it is governments who are being asked to deliver the SDGs, the simple fact is that this critical agenda cannot be realized without effective engagement by the private sector. As much as the SDGs need business, long-term business success also hinges on the realization of the SDGs. The Business & Sustainable Development Commission, which is led by over 30 business and civil society leaders, has produced compelling research mapping the economic prize that could be available to business if the SDGs are achieved. It’s Better Business, Better World report points to market opportunities of at least $12 trillion a year that could be unlocked by 2030. As escalating environmental and social burdens begin to restrain future growth prospects, failure to take action on the SDGs represents a mounting business cost. Furthermore, neglecting to integrate the SDgs strategically also poses a long-term regulatory risk and a reputational risk as governments move to reflect the SDGs in national policy and stakeholders look to business to engage meaningfully in this agenda. There is a massive market incentive for companies who are able to offer SDG-relevant technologies and solutions through sustainable and inclusive business models. Furthermore, companies that align themselves with the SDGs will also be able to consolidate a strong license to operate, differentiating themselves from competitors and building trust among governments, shareholders and customers. The SDGs also bring a new dynamic to governance and transparency. Better information equals better decision-making; disclosing sustainability risks and impacts, and pricing them appropriately, is increasingly where the market is headed. Business as usual will not achieve the SDGs, now will innovation by a few pioneers. This agenda is beyond the reach of anyone company and will require collaboration across sectors, supply chains and economic systems, as well as innovative partnership with governments and civil society. There are a number of actions that you can take to align your organization with the SDGs and plot a course towards unlocking the value they represent. Make the SDGs your business. Keep up with the sustainable development agenda to ensure that your organization is well placed to capitalize upon opportunities and pre-empt disruptive risks. Engage your network of peers on this agenda to create a tipping point for business engagement. Develop a thorough understanding of how your company’s business activities translate into economic, environmental and social impacts in the context of the SDGs. Plot a course towards enhancing positive and mitigating negative SDG impacts. Apply an SDG lens at the strategic level to harness your organization’s potential to engineer business solutions that make your company more successful and sustainable. Consider regular and transparent communication of SDG performance and progress. Collaborate with peers and other stakeholders to frame the SDGs in the context of your sector. Set a collective vision for your industry and collaborate on initiatives to realize sector transformation. Call for all companies in the sector to align, collaborate and report on their progress. Openly advocate for the introduction of key policy and finance enablers that will help to achieve a tipping point. 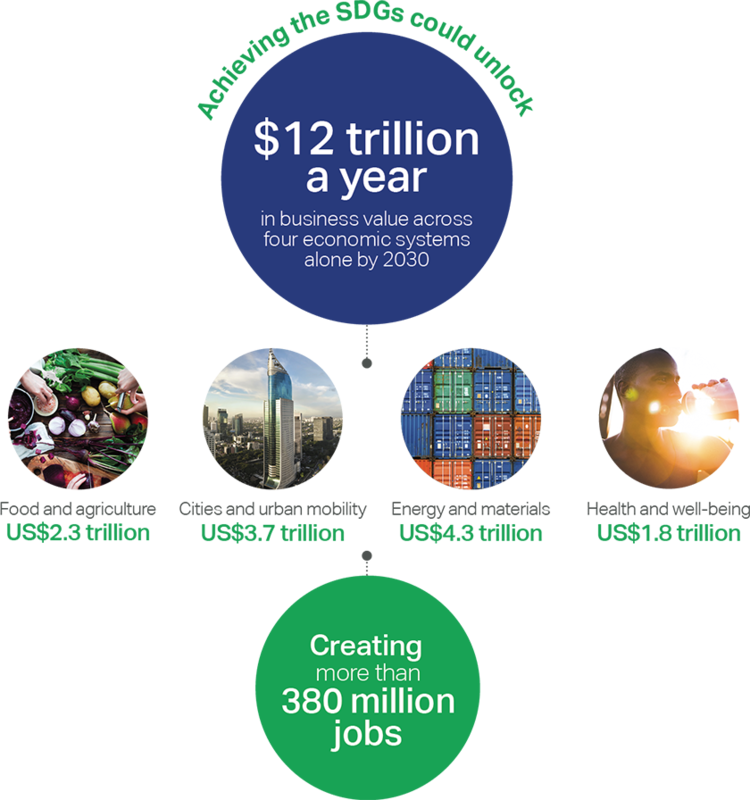 WBCSD is pursuing initiatives that promote business action on the SDGs at scale. These are led by our membership of 200 leading companies and supported by strong institutional partnerships, including a Global Network of over 60 business organizations worldwide. WBCSD is taking steps to leverage our extensive networks across multiple industries to create sector-specific roadmaps which articulate a common vision towards realizing the SDGs. WBCSD is developing innovative frameworks and resources to advance non-financial capital measurement, valuation and reporting, helping companies improve their decision-making and produce more effective and meaningful external reporting and disclosure. WBCSD has a ready-made suite of over 40 Business Solutions that are being driven forward by our member companies. These solutions can help your company strengthen its competitiveness and resilience whilst contributing to the realization of a wide range of SDGs. In collaboration with GRI and the UN Global Compact, WBCSD has developed a step-by-step guide for companies to align their strategies with the SDGs and measure and manage their impacts. It is supported by a live and constantly updated inventory of business indicators and tools. The SDG Compass is available in 12 languages.